This is a review of Hulu Online TV, a supposed revolution in watching TV on your computer. In this post, I’ll let you know whether Hulu Online TV is worth watching or just another Internet bubble that will burst. Hulu Online TV was created just a few years back in March of 2007 though they did not begin catering to the general public until a year later in March of 2008. Hulu is a joint venture in which several big names are involved including NBC, Fox, and ABC among others. These network giants realized that their programs were being widely distributed and watched on the Internet and they were not making a dime off of their valuable content. Thus, the launch of Hulu Online TV. Prior to Hulu, and still to this day, many people visit sites like SideReel.com to watch TV on the Internet. This site, and many others like it, catalog and link to almost every TV show in existence. They are assisted in their efforts by sites like MegaVideo.com which host all of these videos. Of course, distributing this content is a violation of copyright laws but people seem to do it anyway and the networks simply couldn’t keep up with it. In an article I wrote awhile back, I wondered Why Televisions Networks Are Stupid? They were spending all their resources on “catching the bad guys” instead of coming up with a solution to distribute their shows over the Internet. Hulu.com is their answer, but is it the right answer? Well, let’s take a look at How Hulu Online TV works. When you visit Hulu TV, you are greeted with a sliding view of many of the programs that they have available as you see in the photo above. You can click on any of these programs and begin watching the show after a couple of brief introductory commercials. The episodes stream to your computer and the quality is very good. In fact, I like to connect my PC to my TV and watch all of these shows on my large, LCD TV. It looks great and I fully recommend it. As you watch the program, you will receive a few commercials during the broadcast as you would during regular programming. They have designed Hulu Online TV such that you cannot simply fast forward through the commercials as you could if you had a copy of it on your DVR. When you compare Hulu.com to the other ways of watching TV online, it is an absolutely tremendous experience. For example, if you visit SideReel.com to watch a TV show or movie, you will likely find many videos are spammy fakes and it will take a you a while to find what you are looking for. Plus, the video quality will not be near that of Hulu Online TV. On these sites, people generally copy the shows from their DVR to their computer (read DVR to Computer to learn how to do this) and the quality is compromised. In the current economic model, there is not that much in it for us to continue at this time. If they can get to the point where the monetization model is better, then we may go back. Additionally, many of my favorite shows are on the pay cable networks like HBO and Showtime, who do not feature their programming on Hulu and often not on their websites. 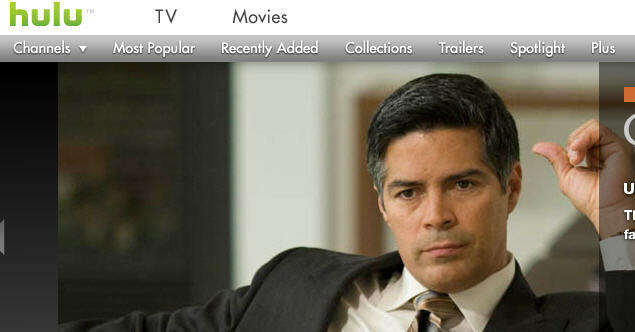 I am a big online TV watcher so I was looking forward to the launch of Hulu Online TV. I have wondered for a long time why TV networks, with all of the money they spend on programming, have been nearly moronic in their approach to online TV. Just like the music industry, they spent their time fighting pirates, realized the could not win, and finally came up with a feasible product. Hulu Online TV offers so much more than other methods of watching TV online. The quality is impeccable and it streams, on a decent Internet connection, with no delay. Additionally, you get readily available show descriptions, air dates, viewer reviews, and much more. And people have come to Hulu.com. In January of 2010, people watched more than 903 million programs on Hulu.com with that number vastly increasing everyday. 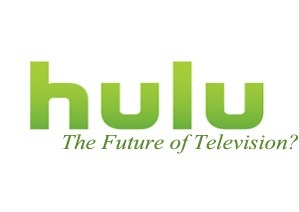 With such popularity, reports have surfaced the Hulu.com is planning an IPO that may be valued at more than $2 billion. However, dangers lurk for Hulu. There seems to be a lot of network discord with companies like Viacom dropping pivotal shows. Also, there is talk of “Hulu Plus” which would charge a $9.95 monthly fee for usage where “…for example, the five newest episodes of Glee, Lost and Saturday Night Live would be free, but older episodes would require the payment of $9.95 per month”. This is not the right solution and will send people back to sites like Sidereel.com to get these old episodes. Despite these potential drawbacks, Hulu.com–for now–is easily the best way to watch online TV…that is, if they have the programs that you want to watch. Pingback: Hulu Plus: A Bad Idea That Should Be Called Hulu Minus! Pingback: Verizon 4G Wireless Internet 5GB Bandwidth Limitation: The Fastest Internet You Can’t Use!